Natalie Gotsis has been a fixture in the Pimentel offices since the 5th grade. Megan has become her most trusted mentor and advisor and has tutored her in all subject matters as well as assisted her with setting goals and guiding her with time management and organizational skills. As a result, Natalie has achieved excellent grades, communication skills, self-advocacy, and great relationships with her teachers. Natalie has also worked with Matthew in preparing for the ACT and submitting all her college applications. She was awarded scholarships at all the universities she applied to and will be attending Northern Arizona University in the fall of 2019 on the Lumberjack scholarship hoping to earn a degree in Business Marketing. Natalie loves the family atmosphere and Megan’s dog, Frank. Pimentel is incredible with communicating with parents in real time and works hard to ensure all concerns are addressed. We are very proud of Natalie and we are very grateful for Megan. 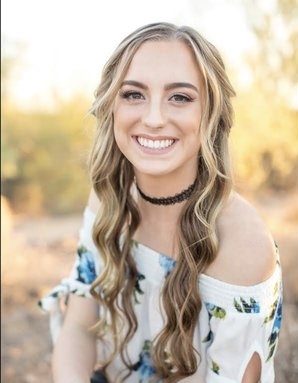 Hannah will graduate in May of 2019 from Chaparral High School. 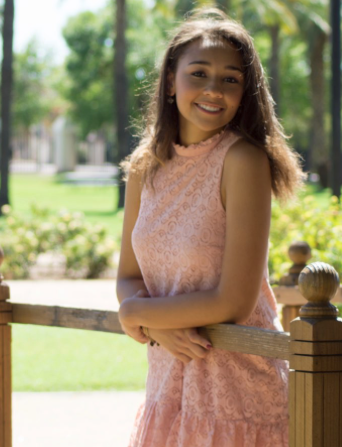 She plans to pursue Nursing and has applied to the Direct Nursing Programs at Clemson University, University of Arizona, Texas Christian University, and UCLA. With the help of tutoring from Pimentel Academic Services, Hannah was able to raise her overall SAT score from 1300 to 1420! Tatum is a recent graduate of the Xavier College Preparatory Class of 2018. Tatum was accepted to Duke University, University of California, Los Angeles (UCLA), University of Michigan - Ann Arbor, Tulane University, University of Wisconsin - Madison, Santa Clara University, Syracuse University, and the University of Arizona Honors College. 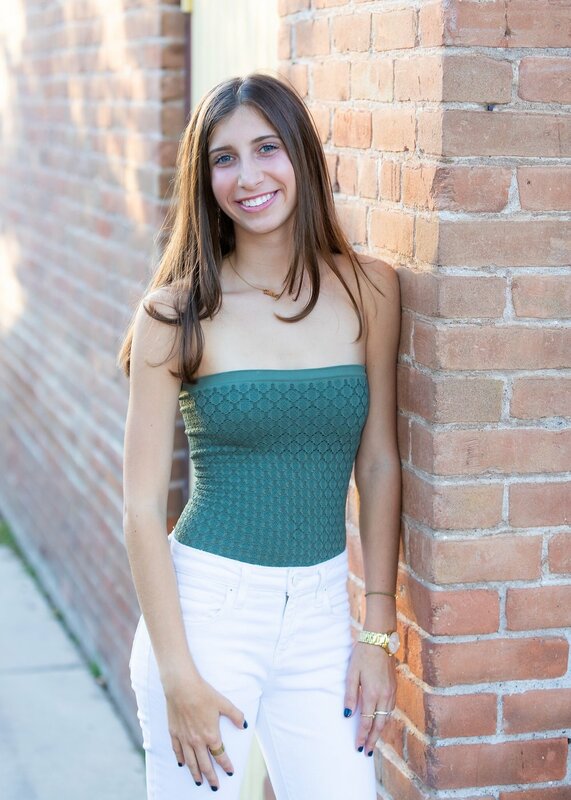 Tatum received several scholarships: Duke University David M. Rubenstein Scholarship; the UCLA Non-Resident Scholarship; the Tulane University Merit Award; the University of Wisconsin BANNER Scholarship; the Syracuse University Whitman Leader Scholar; and Santa Clara University’s Dean’s Scholarship. Tatum is thrilled to attend Duke this fall. We are so happy that Tatum “loved every part of PAS.” Congratulations, Tatum! Kelli is a senior at Sandra Day O’Connor High School. She will be attending Louisiana State University in the fall. Kelli was awarded an athletic scholarship to play Beach Volleyball at LSU as well as the Transformation Merit and Tiger Nation academic scholarships. With the help of Bob and Pimentel staff, Kelli was able to identify areas where she needed help and she improved her ACT score by 8 points and her SAT score by 400 points. Mark John has been part of the PAS community since 8th grade. He has come to us for standardized test-prep and more. A Brophy College Prep senior, Mark John has been accepted to many excellent universities. 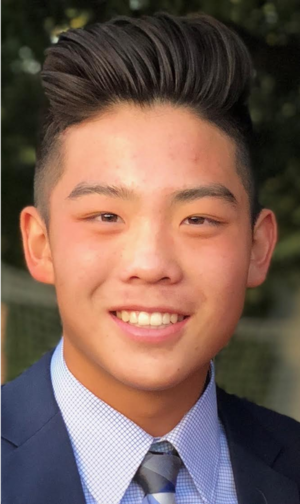 So far, Mark John has been accepted to University of Notre Dame, Georgetown University, Boston College, Villanova University, Southern Methodist University, Creighton University, Marquette University, Arizona State University (Barrett Honors College) and the University of Arizona. We are proud of Mark John and thrilled to have been part of his fine college admissions process. We are very proud to have worked with Karly, who is Miss Teen Arizona 2017! Throughout high school, she worked closely with us to achieve stellar scores on her standardized tests. We have also worked with all of her siblings, who have also gone on to earn great achievements. Karly has been accepted to University of Arizona, Arizona State University, University of Alabama, Texas Christian University, University of Texas, Pepperdine, San Diego State University, Southern Methodist University, UCLA, USCB, and Georgetown. We worked with to help her gain entrance to SMU, and more recently, we helped Whitney prepare for her GRE. Whitney was accepted into graduate programs at USC's Annenberg School for Communication & Journalism, Boston University's Public Relations & Mass Communication programs, and Carnegie Mellon's Heinz College Master of Entertainment Industry Management program. She has earned scholarships from all three universities. Whitney is very much looking forward to attending USC's this fall! We are so proud of all of Whitney's great accomplishments! Jack is a 2018 graduate of Veritas. He began his test preparation with PAS during his sophomore year. 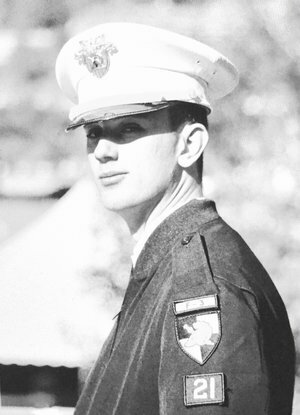 He successfully earned a scholarship to Barrett, The Honors College at Arizona State University. Congratulations, and best of luck to you, Jack! Pimentel has helped me with the whole college application process but also early on with test taking, homework, and school projects. After going to Bob Pimentel and working with his wonderful staff to refine my skills, I had the ability to confidently enter the ACT exam and raise my score by 7 points. I have received invitations to attend the University of San Diego, Santa Clara University, Loyola Marymount University, Gonzaga University, University of Arizona, Arizona State University, Saint Joseph’s University, and Baylor University. The skills that I have learned at Pimentel Academics will help me in my future career and education at the UA Honors College. I used Pimentel Academic Services for my ACT prep and Bob is an amazing tutor. The first time we met he talked to me about my college goals and the score I was hoping to achieve. He explained the material in brand new ways making it interesting and very easy to understand. He not only taught me how to understand the questions but also how to break them down and solve them. The ACT was so similar to the questions I had been doing with Bob that I felt very confident taking the test. Thanks to Bob, I will be attending my dream university, the University of Wisconsin in the fall of 2019. I would recommend him to anyone looking to improve their test scores. A long-time PAS student, Patrick has come to us for college counseling, standardized test-prep, essay writing, and more. Now, an outgoing Brophy senior, Patrick has been accepted to many outstanding universities -- and with presidential and full-ride scholarship offers! We are proud of Patrick and happy to have been part of his successful college admissions process. Patrick was accepted to many selective schools, and he has chosen to attend Santa Clara University this fall. 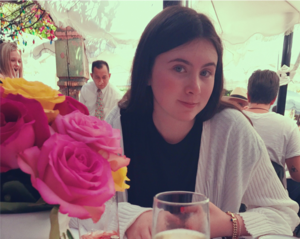 Alexandra utilized our SAT training her junior year in preparation for college admissions. She is currently a member of Xavier College Preparatory's class of 2018. We are thrilled to learn about her numerous college acceptances. She has been accepted to the University of Arizona, Baylor University, University of Oregon, DePaul University, Loyola University of Chicago, and she is awaiting a few more! We are so fortunate to have been part of Alexandra's success. Grant graduated from Arcadia High School in 2017. Grant was accepted at the University of Oklahoma (President’s Leadership Class, Presidential Scholars & School of Engineering scholarships), University of Utah (Honors scholarship), and the University of Alabama (Engineering and Honors Scholarship). He decided to accept the prestigious West Point Military Academy's offer. Currently, he is a lacrosse team manager – the only freshman asked to manage! Siena has been accepted to a number of colleges, including Texas Christian University, Southern Methodist University, University of San Diego, Loyola University Chicago, University of Arizona (Honors College), Arizona State University (Barrett Honors College), Loyola University Maryland, Creighton University, Regis University, Chapman University. Siena has chosen to attend the University of San Diego in the fall. Go Toreros! Julia utilized our ACT training her junior year in preparation for college admissions. She is currently a senior at Xavier College Preparatory. We are thrilled to learn about her numerous college acceptances. She has been accepted to the University of Arizona, Indiana University, Miami of Ohio, University of Kansas and UC Boulder. She will be attending UC Boulder in the fall as a communications major and we are so fortunate to have been part of Julia's success. We are especially proud of this graduate! Marcus was accepted to Fordham University, which awarded him the Dean's Scholarship and the Tuition Award. Marcus was also accepted to Santa Clara University, which awarded him the Dean's Scholarship. Arizona State University admitted Marcus, offering him the ASU Scholastic Award. In addition to these fine admissions accolades, Marcus also was accepted into several of the University of California school system universities, including the University of California, Davis; the University of California, Santa Barbara; and the University of California, San Diego--the second most competitive university this year. Although Marcus was waitlisted at Columbia University, the University of California, Los Angeles, and the University of California, Berkeley, Marcus will proudly attend Washington University, in St. Louis, this fall. I worked with Bob for my ACT prep. I started the journey with a 23 on my first practice test, and when it was time to take the official ACT, I finished with a 30. Bob is super helpful and has all the tips and tricks to make anyone successful! He has a great personality and he makes the class enjoyable. I also went to Bob for additional assistance in my AP English Language and Composition course, and thanks to him I was able to obtain a 3. I applied and was accepted to Penn State and ASU Barrett. For Fall 2019, I decided to attend ASU Barrett in Downtown Phoenix to study Sports Journalism and Law. I would recommend Bob and PAS to anyone in need of improvement in their scores! Noah Gotsis started his experience with Bob in 2011 with tutoring in math. He then went on to work with Bob in preparing for his SAT. Megan became Noah’s weekly tutor in English and Spanish. To this day, he says his college and MBA studies have been shaped by Megan’s assistance and perspective in writing and reading. He was recruited to play baseball at 9 universities and recently graduated from Regis University in Denver, CO, earning student-athlete academic honors. Pitching all four years and working hard on his studies was possible due to the motivation and skills sets provided by both Bob and Megan. He will complete his MBA in September of 2019. 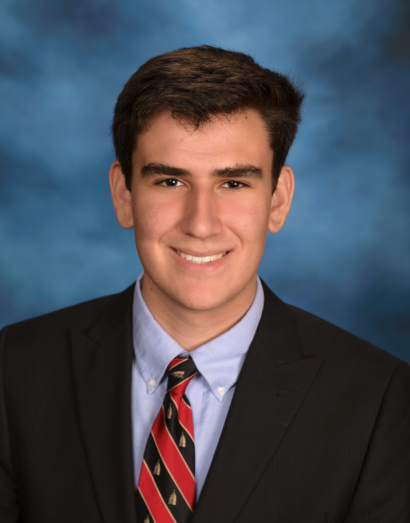 Alex is a recent graduate of the Brophy College Preparatory Class of 2018, and National Merit Finalist. Alex was accepted to the Barrett Honors College at Arizona State University, with the New American University Scholarship and President’s Award. Alex was also accepted to Embry-Riddle Aeronautical University and was offered the Presidential Scholarship. Finally, Alex will be attending Santa Clara University this fall as a Provost Scholar. We are so proud of Alex’s accomplishments, and we are happy to have been part of his growth and success. Good luck at Santa Clara, Alex! In swimming, the recruiting process largely begins in one’s junior year. I knew that I wanted to go to an academic school with a D1 swim team, so I focused mostly on the Ivy League schools and schools such as USC and Duke. I narrowed down my choices to Harvard, Brown, and Columbia by the beginning of my senior year. I ultimately chose Columbia University in NYC because I fell in love with the school on my recruiting trip this fall! I felt that the opportunities for internships and careers available in NYC are unparalleled, and I loved the coaches, the team and the curriculum. I am really looking forward to being a part of the Columbia women’s swim and dive team as well as being a part of the class of 2023! Sophie has also come to us for college counseling, standardized test-prep, and essay writing. Now, a senior at MEI International Academy, Sophie has been accepted to many competitive universities with scholarship offers from Fordham and the prestigious Dean's Scholarship to Loyola University of Chicago. She is waiting to hear back from even more. So far, Sophie has received acceptance to Santa Clara University, Fordham University, the University of Oregon, Loyola University of Chicago, Loyola Marymount University, and the University of Kansas, which has offered her an out-of-state academic scholarship because of her GPA and ACT scores! We are proud of Sophie and thrilled to have been part of her exciting college admissions process. Connor and his older brothers are part of the PAS community. Connor has come to us for standardized test-prep and more. A Brophy College Prep senior, Connor has been accepted to many excellent universities. Connor has been accepted to University of Michigan and the University of North Carolina. He has decided to attend Duke University. We are proud of Connor and happy to have been part of his fine college admissions journey. Bella has been accepted to Santa Clara University, Loyola Marymount University, and Texas Christian University. Though she is still waiting to hear from UCLA, UCSB, and Fordham University, Bella has accepted Santa Clara's offer. She is thrilled to be a Bronco this fall! JJ has gained acceptance to Bryant University, and he has earned an academic scholarship. JJ has also been recruited to play on Bryant's lacrosse team. Congratulations and best of luck to you, JJ! Josh is part of Notre Dame Prep's graduating class of 2018. He started with PAS at the beginning of his junior year; with the help of the PAS's SAT class, he became a National Merit Finalist and a National Merit Scholarship Winner. He later placed in the 99th percentile on the SAT. He was 1 of 11 students accepted into Temple University's combined medical program, to which over 330 students applied. Josh was also accepted to Princeton University, Stony Brook, Rochester, Virgina Commonwealth, University of San Francisco, ASU Barret Honors College, Rutgers (Newark and New Brunswick), and Pittsburgh, with either a full-ride or half-ride scholarship offer form each. 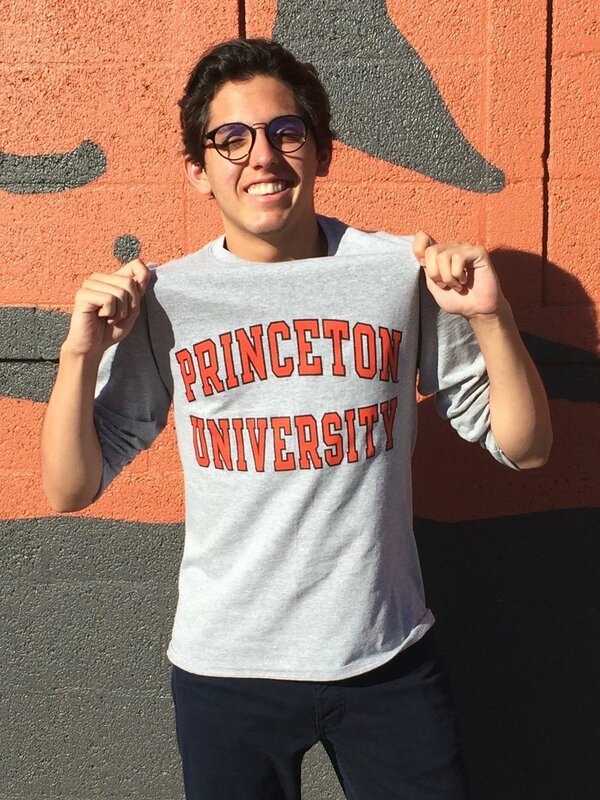 will be attending Princeton University this fall, studying Ecology/Evolutionary Biology with a certificate in Spanish.